Hey Evan. I took the test in Dec after prepping with 7sage, I was happy in that I was scoring in the 160s but my aim was to get above a 165 preferably a 170. I was scoring between a 160 and a 166 on the practice tests but the thing is I never truly got a hang of the games…my scores were averaging around a 14 to 17 on the games. RC is not a problem for me…I might be scoring cent percent in that part of the test. I also guessed on 3-4 odd of the LR questions as I ran out of time. First, our reader should just forget about sticking with the score here. It looks certain that he is going to be unhappy with the score he gets come score release day. If it was RC he is having trouble with, that might be a different story. However, skill at games responds really well to more practice. Even if you’ve already given it a good shot, very often you should be able to make further improvements. Until our reader tries at least one more time, it’s tough to be confident that’s he’s obtained his best score. Unless there was some incredibly compelling reason to go to law school this year, he should give the LSAT another try. I’ve been pretty vocal about that fact that I have yet to hear very compelling reason to go to law school right away. You should only go to law school when you are sure you’ve gotten the best results possible out of the admissions process. Otherwise, it’s almost always better to hold off or not go. Now, what to do about these games difficulties? Here’s what I suggest. First, take a month, or even too, off. There is JUST NO WAY someone in this situation is going to improve significantly in time for the February LSAT. I’m glad to see that the author of the question didn’t even suggest that. He knows what’s up. 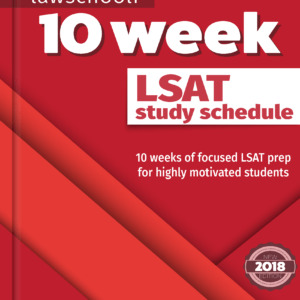 Time off will help recharge motivation and, in my experience, LSAT students say that this stuff gets easier after a break. Now, when your break is over, it’s time to revisit the fundamentals. 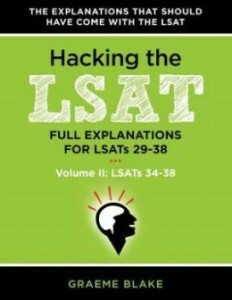 Regardless of what LSAT prep materials you have used, go back to them and focus your efforts on making your diagramming automatic (See below for a discussion on switching LSAT prep materials). Remember that despite the different variables and specifics of each game, there are only a relatively small number of structures employed by the test makers on the logic games section. We need to get it so that you instantly recognize the correct diagramming approach. To do this, restudy the elements that make each game type unique. For example, if you are using the Powerscore Logic Games Bible, you need to learn how to quickly distinguish between linear games, advanced linear games, grouping games, and grouping linear combination games. Then, study the features that make each game type unique and study especially the different techniques necessary to diagram that game type. Even if you’ve seen it once before, it’s going to help to go through it again. To get good at quickly distinguishing between game types, I want you to go back through all the games you have already done. Don’t even worry about fresh games yet. Games you have done should still provide good practice. For each game, read the stimulus and label it by type. Put that information into some kind of a reference chart so you can find that game later when you do it in batches of the same type. Once you have finished doing that with all those games, it’s time to redo them. Divide days up so that you only hit one game type each day. That allows the patterns of those games to sink in better. Step 4- After Games, Compare Your Work With Professional Explanations. This is critical for those for whom this stuff isn’t clicking. You will be helped a lot by seeing how people who are great at games do them. The best way to do this is with logic games explanations. After each game, check your work against the methods employed by an expert. What I would do is do a couple games, then look at their explanations. Don’t do it way later or you won’t get the reinforcement you need to alter bad habits. Keep repeating the process, and always remember what you are trying to do: develop good techniques and make them habit. You need to hammer this stuff over and over again until the right approach is so natural that it comes to you instantly. You want your logic games skills to be automatic. Trust me, keep working and this stuff should click. Only at the end, after you’ve redone your old games, should you go back to the new stuff. Depending on how much you have, I’d say what you have should be spaced out over the last month before you take the test over. That’s definitely true for our reader. He should save this stuff for the last month when he is doing full practice tests again to warm up for the actual event. 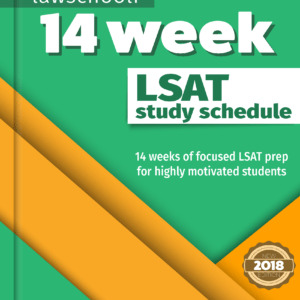 Switching to New LSAT prep materials? However, what about if you were already with a decent prep company? I think you are fine staying with the old stuff, but if your intuition is that a completely fresh look might help you, then you might as well go with it and change. At the very least, you are likely to get a placebo effect kind of boost from the change. Also, you have enough time to relearn techniques that it won’t hurt you to change. Also, having new material will make it easier to refocus on the basics. 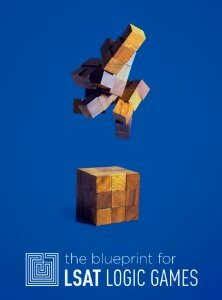 Regardless of what you’ve been going with, there was a new logic games book published in 2013 that I think is worth checking out in this situation: The Blueprint For Logic Games. Even if you don’t adopt the techniques, the tips and clear explanations should be helpful. We’ve got a full review of the book here. 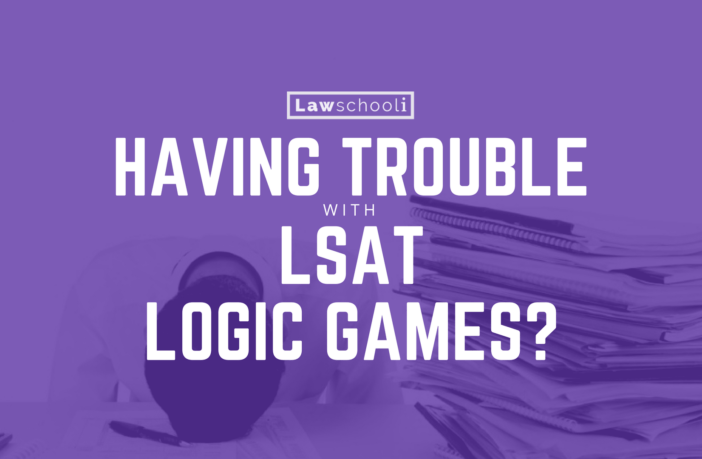 The chapter on Logic for Logic games should be a particularly helpful refresher on the basics after you’ve taken the recommended break from your LSAT study. I recognize this all takes throwing a little money at the problem, and that’s tough, but I promise you that it’s a cost justified solution. 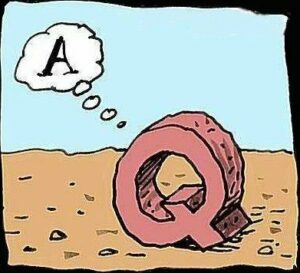 Remember that just a miniscule several point improvement can result in a massive boost to your scholarship drawing power. As always, we are here to help. If you need help rebooting your games strategy, let us know your situation in the comments and we’ll give you a personal plan of attack. Good luck and keep working hard! This blog has been extremely helpful not only in terms of study strategies but also for keeping me motivated. Thanks so much. I have a bit of a problem here- I started my prep at around the second week of July, starting with games using the LG Bible. After a month into my prep, I started focusing on Logical Reasoning and kind of neglected the games for a while, and loosened a bit on my prep due to vacation and family obligations. I am trying to get back into full shape again starting this month -I am aiming for the December test- and have gotten back to the games, but I am totally not getting to where I should be. I decided to revisit the basics, and following your advice, I devoted a full day to just basic linear games. I completed more than 30 games (just basic linear), timed, but for some reason I keep getting at least 1 or 2 wrong within 7 minutes and some games take even longer. When I look back at the questions I got wrong, I usually get it, but maybe it’s the timing issue…? 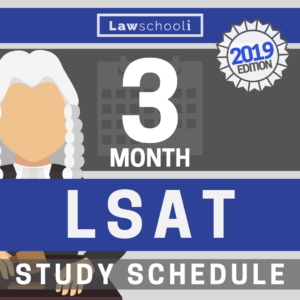 I feel really panicky now because it’s supposed to be the easiest part of LSAT and I have been doing them for quite a while now. Should I forget about timing and just go back and try to get everything right again? I am at loss. Please help me!